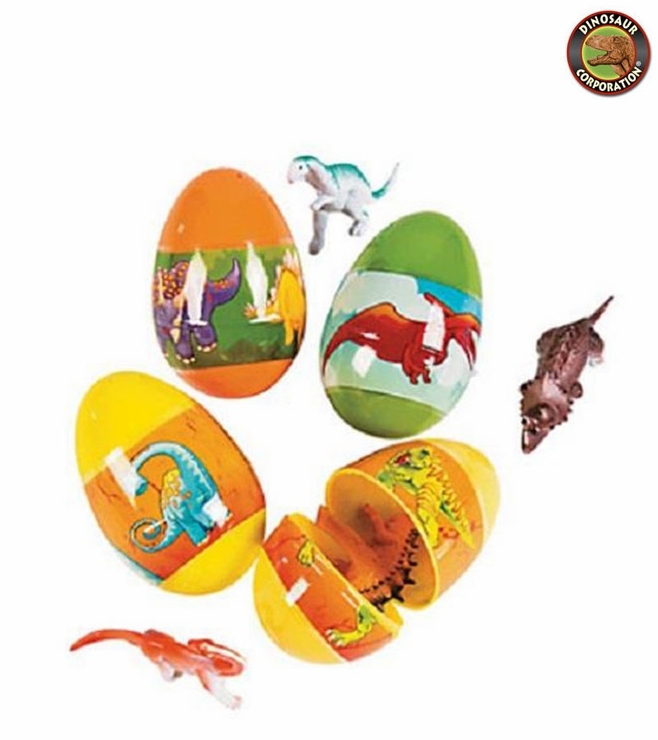 Children will roar in excitement when they find dinosaur eggs filled with toys T-rex, Triceratops, Stegosaurus, Pteranodon during their Easter Dinosaur Eggs Hunt. Hide these eggs on your backyard and watch the creativity hatch before your eyes. * Each egg includes a 2" plastic dinosaur.